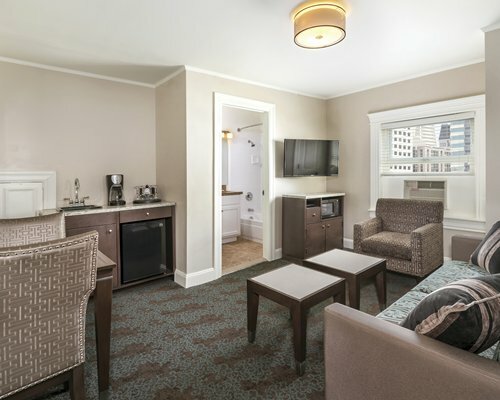 Downtown San Francisco is all yours from this exciting urban location. 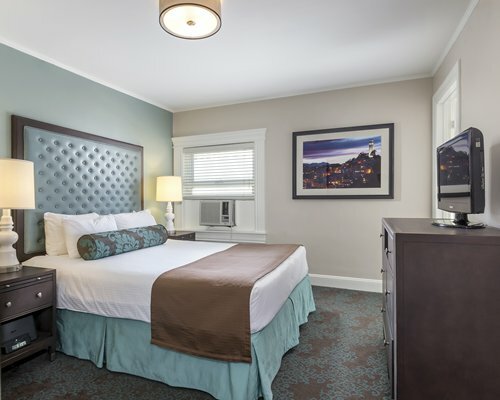 WorldMark San Francisco occupies a historic building dating from 1908 on the corner of Bush and Stockton streets and is a short walk to Chinatown, Nob Hill, and Union Square. Visit Fisherman's Wharf, Ghirardelli Square, and the Maritime Museum on San Francisco's waterfront. Enjoy some of the world's finest restaurants, shops, and the city's vibrant theatrical productions. 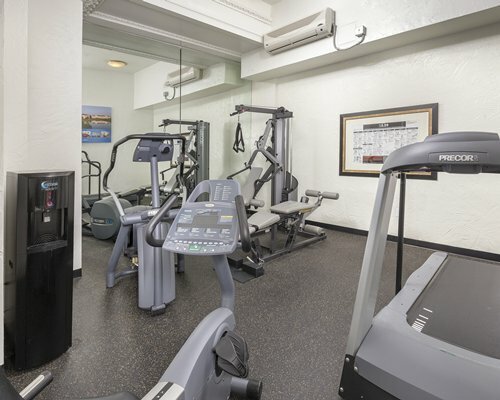 There is a comfortable lobby complete with a cozy fireplace, a guest laundry room, and a fully equipped exercise room. 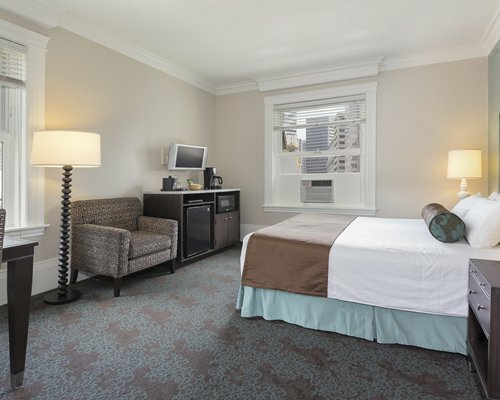 Worldmark San Francisco units feature air conditioning, TV/VCR/DVD, Stereo with a CD player, a phone, iron and ironing board and a hairdryer. 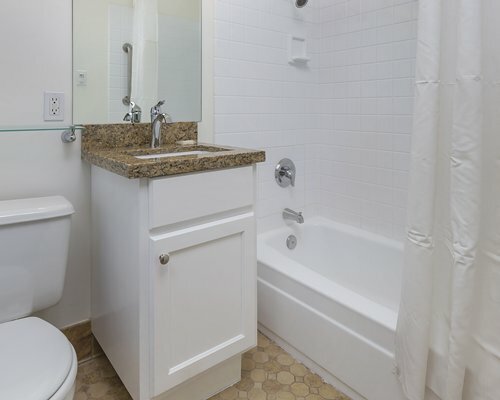 Units are very compact due to the urban location. Units offered are Hotel Max 2/Pri 2 and 1BR Max 4/Pri 2. Bed structures vary. 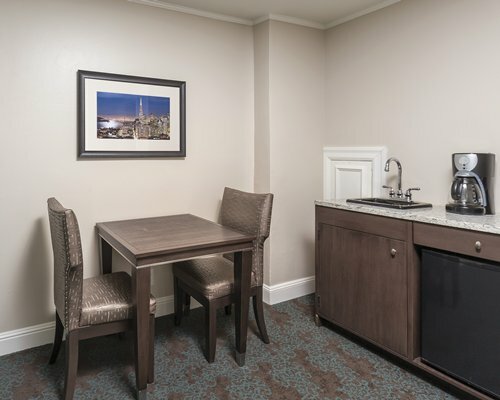 All units have a partial kitchen with a coffee maker, dorm sized refrigerator and a microwave. Kitchens do not have a sink. A credit card deposit is required. You must be at least 21 to check-in. All units are non-smoking. Pets are not allowed. 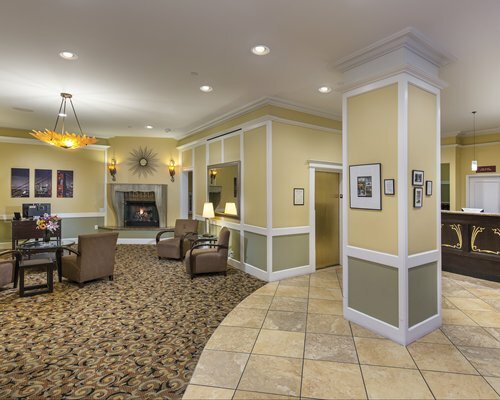 There is no on-site parking, but you can self park nearby, or valet park - both for an additional fee. If you self-park, use the Sutter/Stockton parking facility across the street from the resort. 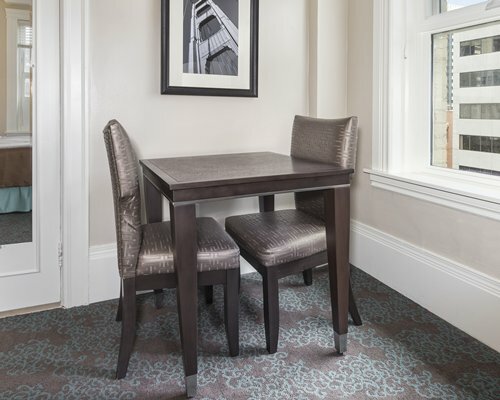 Downtown San Francisco is all yours from this exciting urban location. 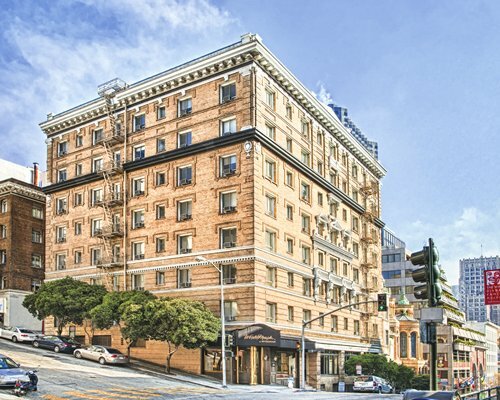 WorldMark San Francisco occupies a historic building dating from 1908 on the corner of Bush and Stockton streets and is a short walk to Chinatown, Nob Hill, and Union Square. Visit Fisherman's Wharf, Ghirardelli Square, and the Maritime Museum on San Francisco's waterfront. Enjoy some of the world's finest restaurants, shops, and the city's vibrant theatrical productions. 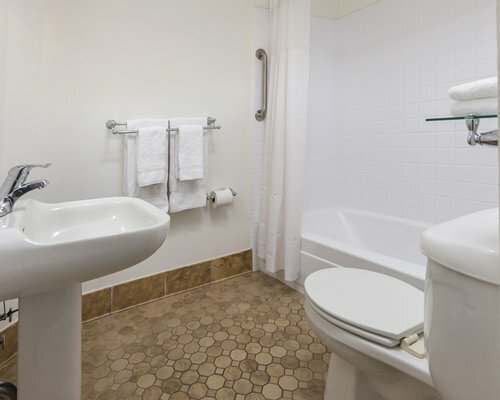 On-site construction or remodeling may disturb guests from February 1, 2019 to June 7, 2019. The elevator will be out of service, guests will need to use the stairs during their stay. Parking fee is 39.00 to 49.00 U.S. dollars. Cash or Credit is accepted.